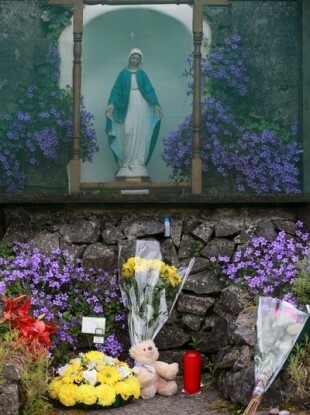 THE RELIGIOUS ORDER that ran the Tuam mother and baby home where human remains have been found said it can make no comment on today’s announcement. It did, however, reiterate its support for the Commission of Investigation into the home. The Bon Secours sisters ran the home until it closed in 1961. All of the records for the home were given to Galway County Council at that time. Today, it was confirmed that a “significant” amount of human remains were found on a site connected to the mother and baby home. The area had been flagged as a possible mass burial site by researcher Catherine Corless. The Bon Secours sisters are fully committed to the work of the Commission regarding the mother and baby home in Tuam. On the closing of the Home in 1961 all the records for the Home were returned to Galway County Council who are the owners and occupiers of the lands of the Home. We can therefore make no comment on today’s announcement, other than to confirm our continued cooperation with and support for the work of the Commission in seeking the truth about the home. A Commission of Investigation was established by the Government to look into mother and baby homes and county homes. In October 2014, an email was sent by the public relations representative for the Bon Secours sisters, Terry Prone, about the site. Documentary maker Saskia Weber had asked the nuns to take part in filming about mother and baby homes in Ireland. Your letter was sent on to me by the Provincial of the Irish Bon Secours congregation with instructions that I should help you. I’m not sure how I can. Let me explain.When the “O My God – mass grave in West of Ireland” broke in an English-owned paper (the Mail) it surprised the hell out of everybody, not least the Sisters of Bon Secours in Ireland, none of whom had ever worked in Tuam and most of whom had never heard of it. Which most of us knew already.The overwhelming majority of the surviving Sisters of Bon Secours in Ireland are over eighty. The handful (literally) still in active ministry are in their seventies. None of them is an historian or sociologist or theologian and so wouldn’t have the competence to be good on your programme. If you’d like me to point you at a few reputable historians who might be good, I’ll certainly do that. Speaking to TheJournal.ie at the time, Prone confirmed she had sent the email, but said there was “absolutely no difference” between the substance of it, and public pronouncements made by the Bon Secours sisters. “The sisters never knew anything about it,” she added at the time. Speaking today, Prone told Today with Sean O’Rourke on RTÉ about the site: ”It looks like there is a whole lot more to it”. Prone said when she wrote to the producer she said ‘you won’t find that’, as a commission was needed to get the work done on the site to determine what happened. She said questions that need to be asked are how many children were buried; and is that disproportionate to the number of children and toddlers who would have been dying in the population at this time; and what did they die of. Documents show that the death rate of babies at the home was significantly higher than that at other homes around the country. Figures from the National Archives showed that 31.6% of babies under the age of one at Tuam died over the course of one year. In other homes, that rate was 17%. Causes of death included bronchitis, convulsions, and congenital syphilis. Email “Nuns who ran Tuam home have 'no comment' to make on today's revelations”. Feedback on “Nuns who ran Tuam home have 'no comment' to make on today's revelations”.